Hosting a small giveaway on social media is a great way to increase brand exposure and get customers engaged. They’re easy to hold during the summer, because you can give away beach paraphernalia, or during the holidays, when you can offer gift certificates. However, make sure your business isn’t neglecting the in-between season! It might require a little more creativity to hold an autumn giveaway, but if done correctly, it can really benefit your business. Before you launch a giveaway, choose an appealing and unique prize. You can use best-selling products or put together a fall-themed package. A Deluxe Customized Chair, Promotional Econo Blanket or Personalized Stadium Cushion are great choices for football fans, especially if they tailgate. For families, Reusable Hand Warmers and a Personalized Hat and Scarf Set are must-haves for fall activities like apple picking and hay rides. Once you have your prizes lined up, it’s time to launch the giveaway. Use these unique and engaging techniques to host the best possible promotion during autumn. Having a “fan of the week” contest is a great way to get customers engaged. This fall, declare October or November to be customer appreciation month at your company, and host four different fan giveaways. You can choose to use this method on social media or in store. Have customers enter using a picture of themselves at your business or with your product. You can either choose the winner yourself or have followers vote on social media. Branding Personality explained that fans will often have friends and family share social media entries, which can result in a viral effect. A fan of the week contest can help to increase your page followers and traffic. Each subsequent week, you’ll have more and more entries! If you choose to hold the competition in-store, it will increase your foot traffic and exposure. Another great method is to have a weekly trivia post pertaining to your community. You can ask questions about the history of local traditions, like when the annual fall festival was first held. Another popular tactic is to post a photo from your community and have fans guess where it was taken. Snap a quick picture at a local orchard or pumpkin patch and give prizes to a few customers who guess correctly. 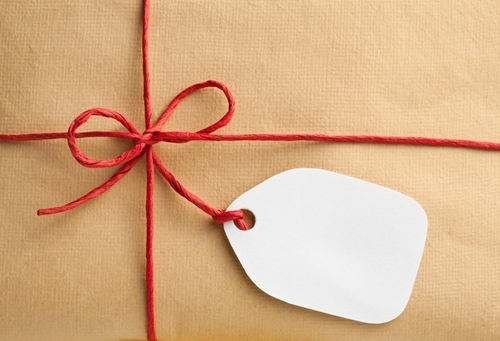 These types of giveaways are quick to hold – it can all be done within 24 hours. If you hold them regularly, people will start to visit your social media site or store in anticipation of the next trivia question. Your customers, especially the women, probably turn to Pinterest when they’re looking for a fun fall craft or pumpkin cookie recipe, so don’t neglect this social media site. PR By the Book suggested that a “Pin to Win” contest is an easy and effective way to hold a Pinterest giveaway. All you’ll need to do is create a giveaway board with posts of the product you’re offering and encourage followers to re-pin the items they want. Optimize engagement by promoting the giveaway on other social media sites and in person. Include instructions for the contest in your newsletter or have them printed out and displayed in your business. At the end of the giveaway, you can choose a winner at random or use a website like Rafflecopter to pick. As a result of the giveaway, more people will see your pins, which will likely drive traffic to your website and increase brand knowledge.